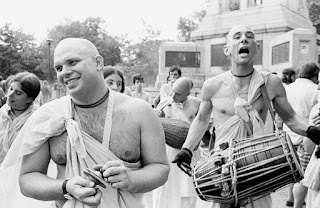 Tribute for HG Brahmananda Prabhu this Saturday ~ The Toronto Hare Krishna Temple! of Srila Prabhupada, HG Brahmananda prabhu passed away this past Sunday in Vrindavan, India. Our event on Sunday at Yonge-Dundas Square was dedicated to him and the wonderful service he has done over many years. This Saturday, June 13, 2015, we will be having a memorial program for HG Brahmananda prabhu after the Srimad Bhagavatam class at 8:15am in the temple room. Further, the Sankirtan team will be going out on the streets for harinam (chanting and dancing on the streets) in Hamilton starting at 9:00am. You can contact the Sankirtan team for more details by emailing toronto.sankirtan@gmail.com . To read a tribute in honour of HG Brahmananda prabhu, please click here . May HG Brahmananda Prabhu soul rest in peace and that he has gone Home Back to Godhead!! !